There are few things in life worse than a trip to the dentist. Some might say the only thing worse is paying the bill. Worse yet, though, is not being able to afford to go at all. Because of this a growing number of Australians are considering seeking cheaper dental treatment overseas. And if you are up for it, there are plenty of medical tourism agencies to help you on your way. Many offer a range of medical options from cosmetic surgery to elective surgery, eye surgery and fertility treatment while others specialise in one area such as dental. These agencies will organise your flights, accommodation and even sightseeing (though not travel insurance should a procedure go wrong). They will provide advice on hospitals regarding their success rates and complications for treatment and whether they are accredited by organisations such as the International Organization for Standardizations or the Joint Commission International. It all sounds pretty tempting, but is dental tourism too good to be true? India, Vietnam and Turkey are just some of the exotic global destinations on offer for medical tourism. For Australians, the most popular destinations for dental work are Malaysia and Thailand. Bumrungrad International Hospital in Bangkok sees 11,000 overseas visitors for dental treatment alone. Marketing Director Kenneth Mays estimates that 500 to 600 of these patients are Australian. We provide a complete dental centre, staffed by 55 full- and part-time dental specialists, 26 [of whom] trained and/or have been board-certified in the US, UK, Japan or Australia, he says. Patients are choosing to travel to Thailand, he explains, because of the lower cost for equivalent quality of care, combined with good treatment, service and value and all in a desirable vacation location. 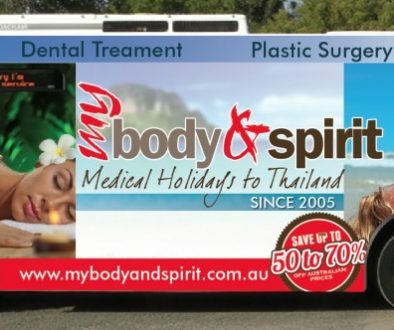 Barbara Sherriff, who owns Queensland travel agency My Body and Spirit, specialises in sending clients to Thailand for dental work, cosmetic surgery and laser eye surgery. She says the business came about as a result of her husbands dental woes. He needed signifigant dental treatment and was quoted $25,000, which was just far too much. Sheriff, a travel agent already familiar with Thailand, looked into having the treatment there instead. She and her husband visited The Bangkok Hospital on the holiday island of Phuket and were impressed with the facilities. After receiving a quote they were even more impressed with the price of $5500, a huge saving on the original quote. As a result, the couple started a health travel service to Thailand. Sheriff says they have sent more than 160 clients overseas in the last year, 75% of whom were for dental. When she asks her clients why they are choosing overseas destinations for their dental care, the answer is always the same. Its cost. We have seen people who have been quoted up to $60,000 for substantial work and simply cannot afford to have it done in Australia. We now receive up to 20 enquiries a week, and most of these are from people wanting dental work. The Australian Dental Association (ADA) acknowledges that dental tourism is on the rise but warns of the risks. 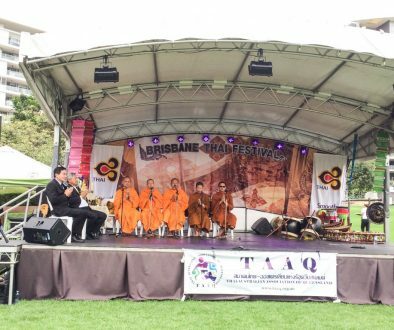 For a third of the price and a holiday at the same time it sounds like an offer that’s too good to be true, but it isnt that good.”says former Federal President Dr John Matthews. Most people go overseas because they want fairly complex dentistry done, and the more comples it is themore likely that something will go wrong. And when it fails, it fails big time. Dr Carmelo Bonanno, a Canberra dentist and Federal Executive of the ADA, says people need to understand the implications of taking their dental care offshore. Overseas dentists may or may not have the training and experience, but with your Australian dentist it is very clear. If you see me you know where I’ve been trained and that I’m registered, and if you’re not happy with the work there are avenues to complain. Bonanno says if people choose to head overseas, they may be in for unexpected additional costs.A former patient of his chose to have cosmetic dentistry done in Asia that was so badly done it will take significant work and a lot more money to get it fixed at home. While Bonanno says he understands dental costs can be expensive in Australia, he urges people to weigh up the risks of taking their treatment out of the safety net provided here. You might have work done that’s absolutely fine but what if it isn’t? Fixing bad dentistry is no fun. The ADA says there are many reasons that Australians should avoid dental holidays. In a public document it cites issues including poor training and infection control. Time and continuity of care is another problem where dental treatment overseas is fitted in around a holiday, and should ideally be conducted over a longer period of time. And, of course, there’s the risk of something going wrong. Most travel insurers will not cover medical tourism. It’s also unlikely there will be any suitable avenues for complaint.The ADA states that “Australians must ask themselves [whether] the overseas treatment will remedy dental problems long term. Will it be safe? Can patients be assured they will not be worse off? Are they fully aware of what treatment is actually being provided? In the other corner, the medical travel agents CHOICE spoke to say they’ve had no complaints from the customers they deal with and that they provide a full estimate of the time required for treatment.